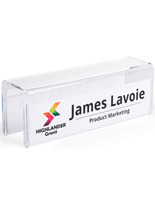 This cubicle name plate holder slides right over the panel divider at any workstation and can be used to identify desk ownership, meeting places, and more. 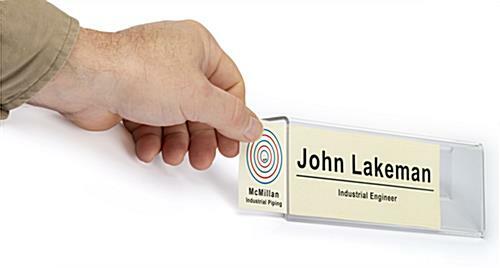 Formed from a single piece of 1/8” acrylic, this gently curved sign display accommodates any 1” thick wall or partition. 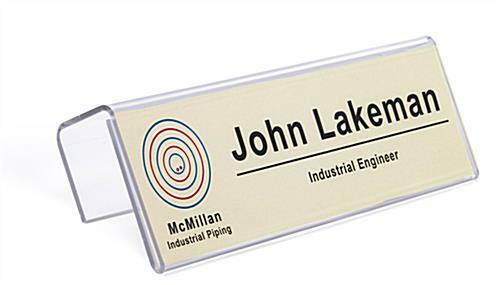 Print your own 8.5” x 2.5” insert and fit it into this over the panel cubicle name plate holder to help with office navigation to specific employees or communal spaces. 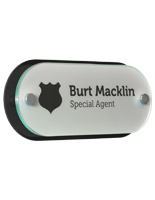 With no tools or additional hardware required, setup is quick and easy. 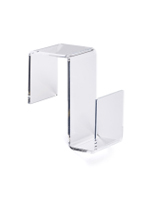 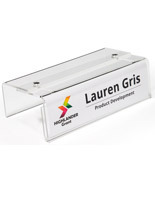 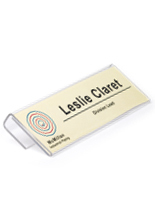 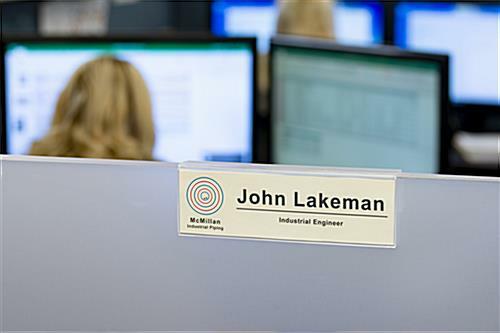 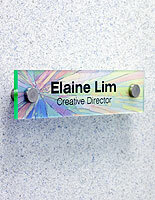 Move and reuse as much as you need, as this cubicle name plate holder is made from durable, bent acrylic. 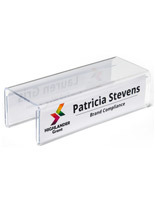 Personalize your workstation and help guests easily find who they’re looking for with this side-insert signage display. 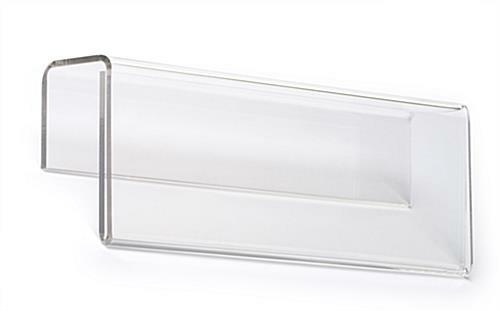 8.5" x 2.8" x 1.4"